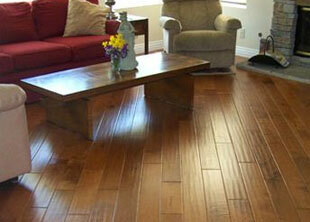 We were very satisfied with the service and flooring we got from Hardwood Floor Specialists. The salesperson came out to our house several times to discuss the different options and then was able to work around our hectic schedule to get the flooring installed . . . 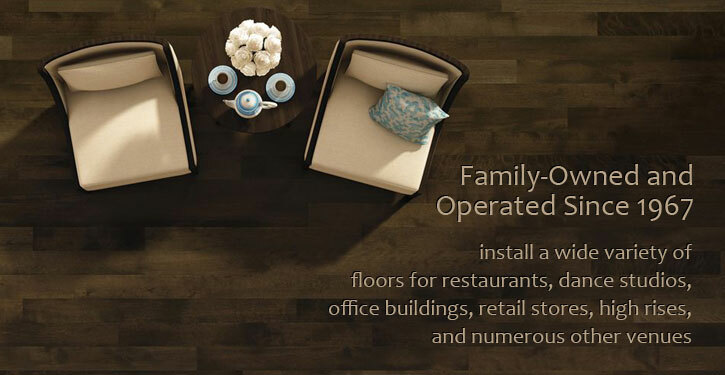 Since 1967, the Hardwood Floor Specialists have served Tustin and Foothill Ranch, California; providing countless numbers of satisfied homeowners, business owners, property managers, and construction industry professionals with comprehensive wood and laminate flooring services at unbeatable prices. We offer wood flooring sales, installation, refinishing, and repair services, and our known for our dedication to providing our clients with exceptional workmanship and excellent customer service. We have over 4,000 wood flooring varieties to choose from, so that you are certain to find the wood flooring type, design, and wood species to match your needs and design preferences. Best of all, because we stock such a large volume of hardwood, laminate, cork, and bamboo flooring, at the Hardwood Floor Specialists, you can take advantage of sub-distributor pricing, which means we pass our bulk savings onto you. And because we also stock reclaimed wood flooring, we can often offer our Tustin and Foothill Ranch clients special in-trade pricing deals. Contact the Hardwood Floor Specialists today, or visit one of our two beautiful showrooms, conveniently located in Costa Mesa and Redondo Beach. We provide free onsite design consultations and estimates to Tustin, Foothill Ranch, and all of Orange County, and are licensed, bonded, and insured. Trust the Hardwood Floor Specialists for beautiful hardwood, laminate, cork, and bamboo flooring in Tustin and Foothill Ranch, CA. Wood flooring will add to both the design appeal and assessed value of your home or business. 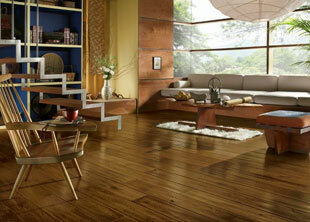 In addition, it also possesses many advantages over other types of flooring. Wood flooring is low maintenance, very durable, and easy to clean, and when it is used as a substitute for carpet, it greatly reduces airborne allergens within indoor spaces. 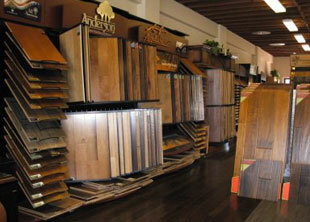 At the Hardwood Floor Specialists we have an extensive selection of wood flooring varieties to choose from. Whether you would like to install exotic, rainforest hardwood flooring, or one of the latest laminate flooring styles, the Hardwood Floor Specialists has the ideal wood flooring type and wood species for your design preference. Contact us today. We offer free onsite estimates to Tustin, Foothill Ranch, and all of Orange County. No longer is hardwood floor refinishing in Tustin and Foothill Ranch the dusty, messy procedure it used to be, thanks to the invention of dustless wood floor refinishing technology. Now, wood floor refinishing is a minimally intrusive process, so there is no need to put off this important wood floor maintenance requirement. At the Hardwood Floor Specialists, our state if the art, dustless wood floor finishing procedure is very affordable, and our skilled craftsmen perform this service as quickly and efficiently as they can, to ensure that it is as minimally disruptive to everyday activity at your home or business in Tustin or Foothill Ranch. They cover all exposed furniture and cabinetry to protect it against the very small amount of residual dust produced during the refinishing process, and take great care when walking throughout your property. And in addition to our intensive refinishing procedure, our skilled craftsmen can also perform a screen and recoat service for wood floors which do not need such a deep sanding procedure. Contact us today for a free estimate on our comprehensive wood floor refinishing services. Over time, everyday wear and tear, exposure to high moisture conditions, and wood floor expansion and contraction can result in the need for wood floor repair. At the Hardwood Floor Specialists, we are experts at resolving problems with wood and laminate flooring, and can replace wood flooring strips or planks, stair risers and stair treads, and "float in" large areas of an existing wood floor with replacement wood flooring when necessary. We stock a large selection of reclaimed wood flooring to aid us with this task, and can match any variety of existing wood floor perfectly when performing our wood floor repair services in Tustin and Foothill Ranch. Depend upon the Hardwood Floor Specialists for professional wood floor repair services in Tustin and Foothill Ranch. We have served Orange County homeowners, business owners, property owners, building contractors, architects, and interior designers since 1967, and are licensed, bonded, and insured. Contact us today for a free onsite wood floor repair estimate. At the Hardwood Floor Specialists, we not only offer low prices, but one of the largest wood flooring selections in the area. With more than 4,000 samples of wood and bamboo flooring (and between 85-90% of that selection in stock at all times), we can proudly say that we offer the most comprehensive selection of wood flooring styles, types, and wood species available to Tustin and Foothill Ranch, CA. Our selection includes many of the industry's most trusted brands, such as Shaw, Reward, Manning, Armstrong, Gemwood, Du Chateau, and many others, and our available flooring installation styles include wide and long plank, multiple-width, diagonal, parquet, reclaimed wood, and more. 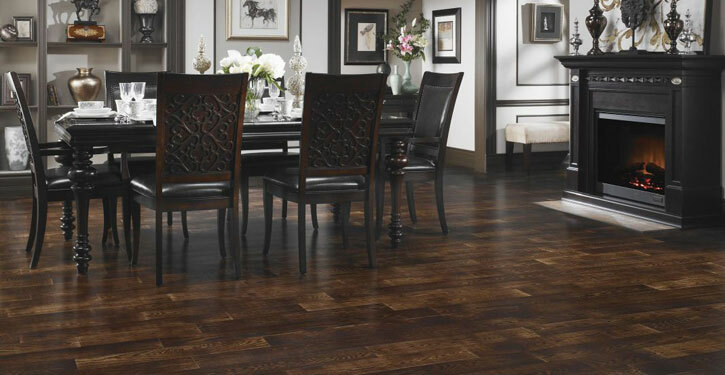 Nearly all of our wood flooring styles and species are available in smooth and distressed finishes, such as hand-scraped and timeworn, and we also offer Tustin and Foothill Ranch property owners both prefinished and unfinished engineered hardwood flooring, as well as prefinished and unfinished solid hardwood flooring. Contact us today, or visit one of our beautiful showrooms. 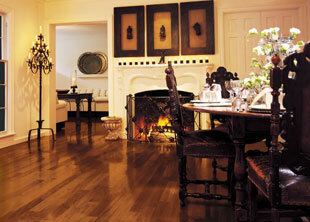 The Hardwood Floor Specialists are licensed, bonded, and insured. Trust the leading wood and laminate flooring services contractor for Tustin and Foothill Ranch, CA with your home or business wood floor installation, refinishing, or repair project. We are dedicated to providing the homeowners, business owners, property managers, building contractors, architects, and interior designers we serve with excellent craftsmanship and unbeatable pricing. We stock one of the largest selections of hardwood, cork, laminate, and bamboo flooring available within our Orange County service region, and because of this large inventory, are able to offer our valued clients sub-distributor pricing. Contact us today, or come visit one of our beautiful showrooms. 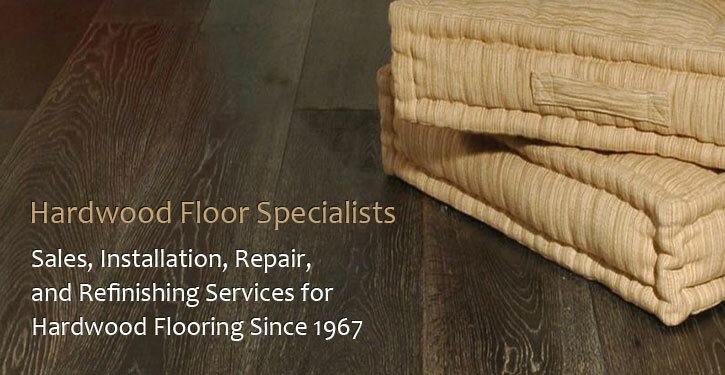 The Hardwood Floor Specialists are licensed, bonded, and insured.